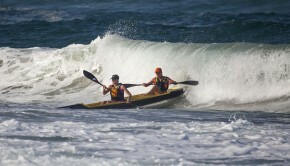 Durban – A star studded field has assembled in Durban ahead of this weekend’s inaugural FNB Mazars Durban Downwind surfski race, which doubles as the 2014 South African Surfski Championships, and all are anxiously looking to Mother Nature to see what weather and ocean conditions she will serve them. 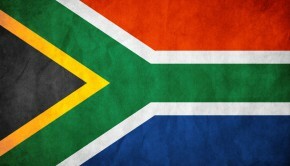 The consistent winds that have blown throughout the week leading up to the national clash look set to all but disappear come Saturday morning and a long hard slog from Marine Surf Lifesaving Club at Addington Beach to La Mercy on KZN’s North Coast looks likely. 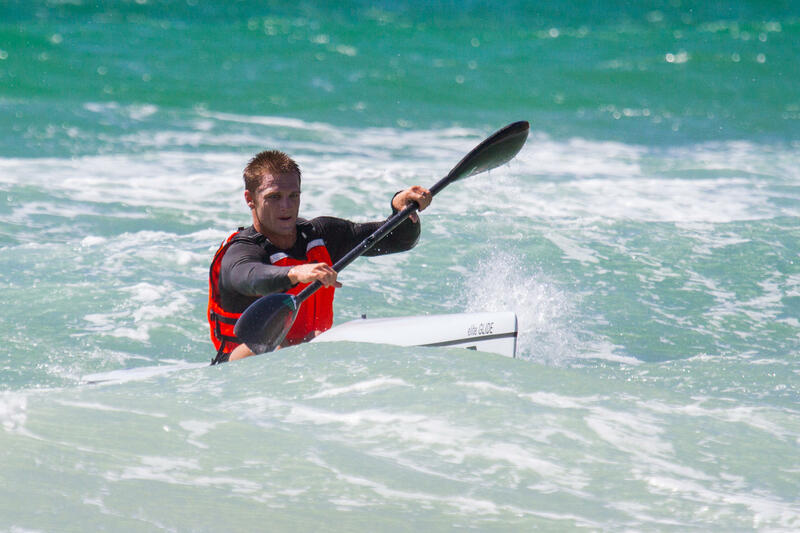 Should these predicted conditions unfold, defending World and National Champ Sean Rice (Think Kayaks) will look to draw on his pitbull-like fighting spirit to retain the title he clinched in East London last year. 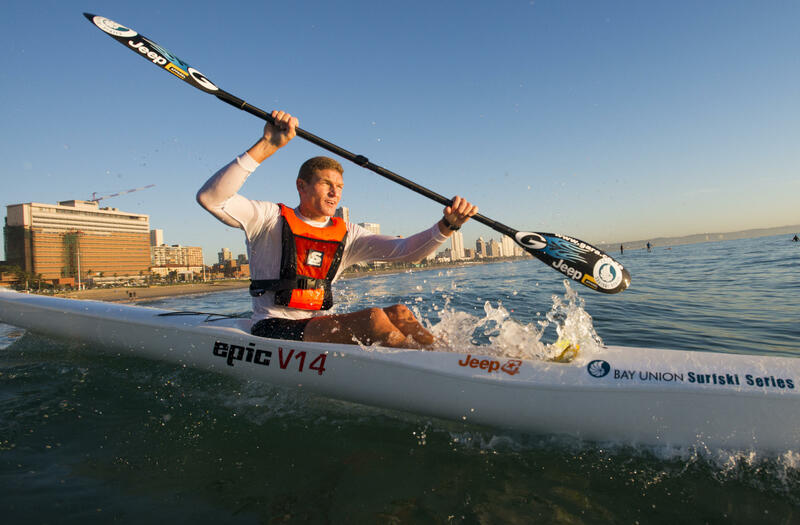 He will however have to overcome the major threat local stars Epic Kayaks/Team Jeep’s Hank McGregor, Epic Kayaks’ Matthew Bouman and Epic Kayaks/Team Jeep’s Grant van der Walt pose as well as Rice’s fellow Western Cape title hopefuls Dawid and Jasper Mocké (Fenn Kayaks). 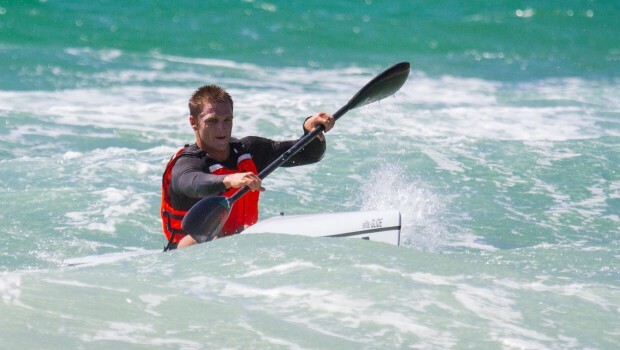 Rice’s younger brother Kenny (Think Kayaks) may also secretly have one eye on a first senior podium finish having shown significant progress and development in recent times. 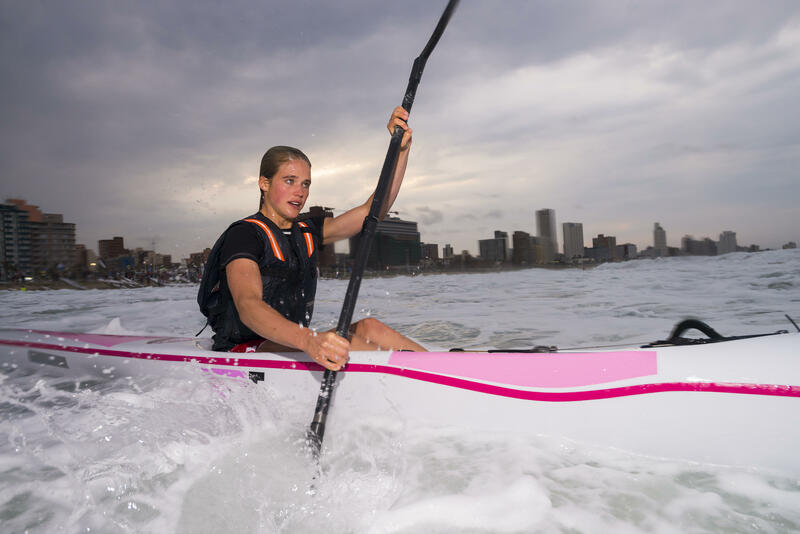 The women’s clash is set to be one of a ‘experience vs. youth’ nature as Fish Hoek’s Nikki Mocké goes head to head with Western Cape junior Kirsten Flanagan, KZN’s under-23 shining star Jenna Ward (Fenn Kayaks) and former Eastern Cape resident now living in Durban, Nikki Russell (Fenn Kayaks). Aside from the racing snakes at the front of the field, many of the sport’s past legends and characters are set to line-up on Saturday morning too with numerous paddling enthusiasts eagerly awaiting to see whether Clyde ‘Skinny Cuppa’ Barendse will be one of these such characters. The Western Cape resident completed the remarkable feat of paddling from Cape Point to Durban on Thursday evening and, in so doing, won the Lettie Paddle Coastal Challenge as he crossed the line ahead of runner Steve Black. 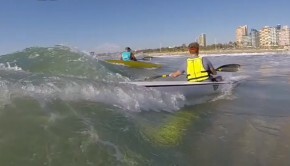 Despite his incredible effort, the surfski fraternity’s rumour mill has uttered various whispers of the paddling sensation still keen to add the Durban Downwind to his list of recent paddling achievements. Saturday’s singles showdown will be closely followed by the SA S2 (doubles) Surfski Championships on Sunday with the weekend’s action also playing host to the 2014 KZN & Gauteng Surfski Championships.